Getting constant feedback from riders, listening to and interpreting their sensations in order to perfect every component of the bike. This is the added value of Reparto Corse (Racing Department) that works tirelessly to eliminate a few hundredths of a second on a race track. This passion is infused into every 800 RC. 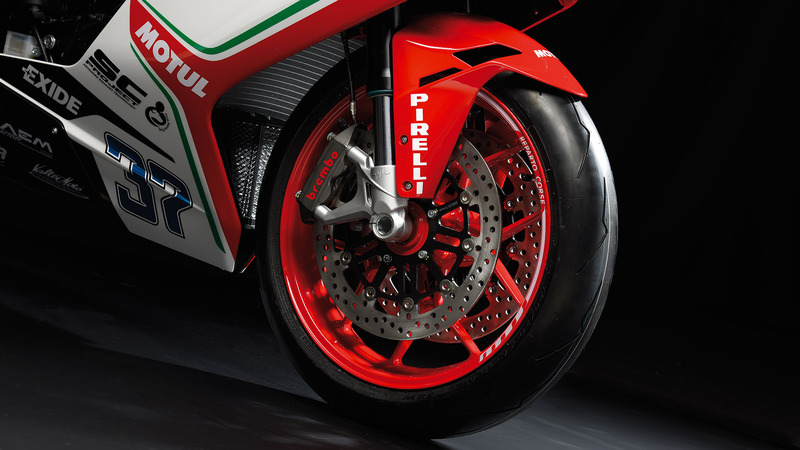 The 800 RC is the race track bike designed and produced by one of the most successful manufacturers. Every time you brake, every time you dive for the apex, this extraordinary bike will remind you of what it means to win 75 world championships. 350 units, not one more, all individually identified by a certificate guaranteeing their authenticity. They all come with their own kit to turn the road F3 RC into the ultimate machine for track days. The titanium exhaust is supplied by SC Project. The control unit with dedicated mapping is included. 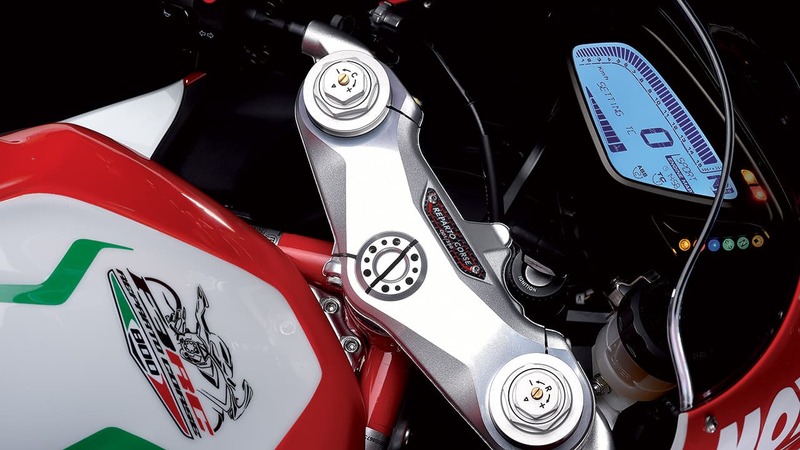 The CNC-machined billet levers of the brakes and the clutch, the rear sprocket, the rear stand and the bike cover are all additional features of the F3 800 RC. 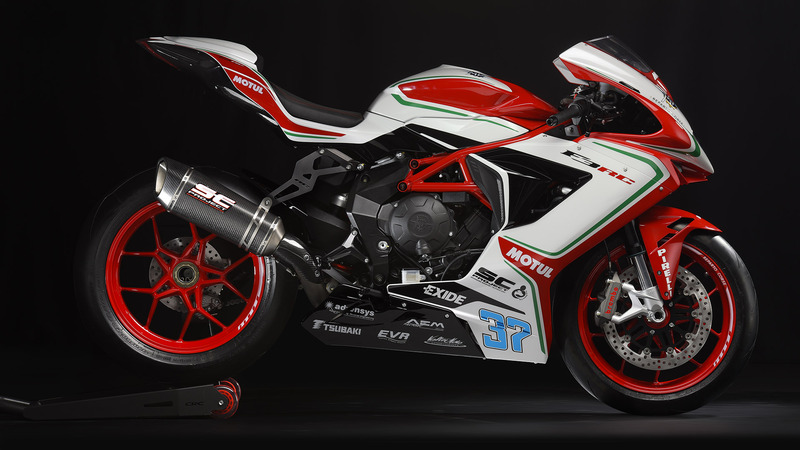 The graphics and the colour schemes are the same as the ones sported by MV Agusta’s pilots in the world’s top competitions. 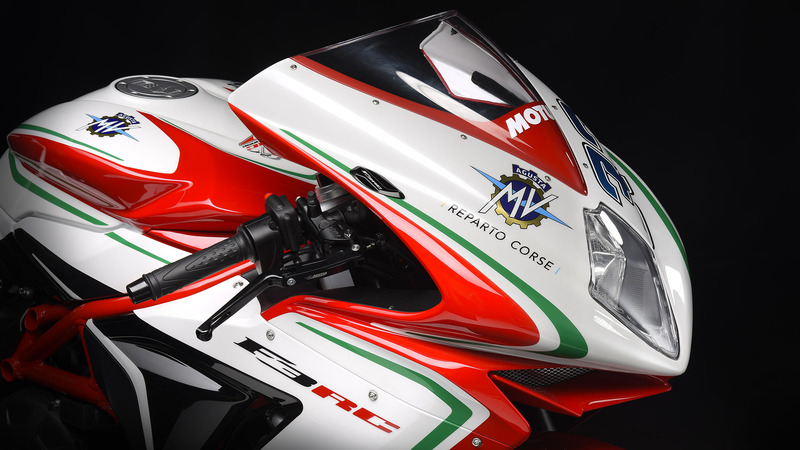 F3 RC 2018 bikes can be easily recognised also thanks to their red rims, directly derived from Supersport racing, while the large “37” number on the fairings refers to the number of World championships won by MV Agusta. You can almost hear the echo of the legendary Supersport World Championship tracks in its three-cylinder roar. Rev counter well into the red zone, rider tucked into the fairing: time comes to a halt, stopped by the sheer speed of the F3 800 RC. 112.5 kW (153 hp) at 13.250 r.p.m.